One of Chairman Maos favourite words was contradiction, so it is fitting that the cultural products of one of the most famous (and infamous) events associated with his name, The Great Proletarian Cultural Revolution (1966-1976), can be understood as a study in contradictions. This is how the art of the time is presented at the Universitätsmuseum Heidelberg. This exhibit uses sounds, objects, film footage and above all posters to evoke a time marked by extreme tensions, between old and new, the joyous and the violent, hope and despair. It presents a time of contradictions, when great leaders but also the most ordinary of people were exalted, when the Chinese Communist Party turned inward and yet was influenced by and sought to influence revolutionary struggles in other parts of the world. It also shows how, despite efforts by some to construct a monolithic culture and despite the reduplication through many media of certain key symbols and gestures and icons, artists working individually and as part of collective units continued to exercise considerable creativity within the limits imposed. Both the repetitive and the varied nature of the cultural products of the period are suggested here. This is done via displays of objects in glass cases; a soundtrack of sounds associated with the Cultural Revolution, though not necessarily produced then; a video made up of a selection of documentary and theatrical film footage; and most of all the posters themselves. 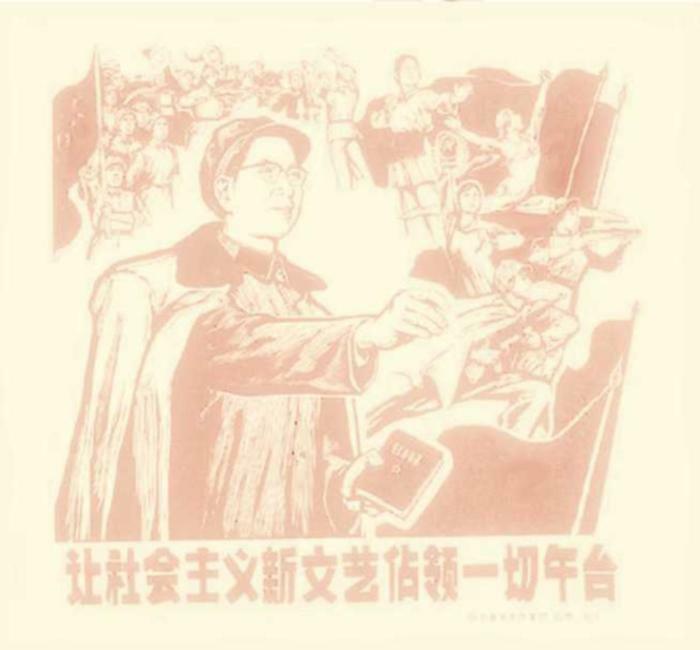 The exhibit and the explanatory materials that accompany it are intended to provide visitors with a deeper understanding of the Cultural Revolution era as a multifaceted period in Chinese history and of the Cultural Revolution as a hyper-multi-media event.